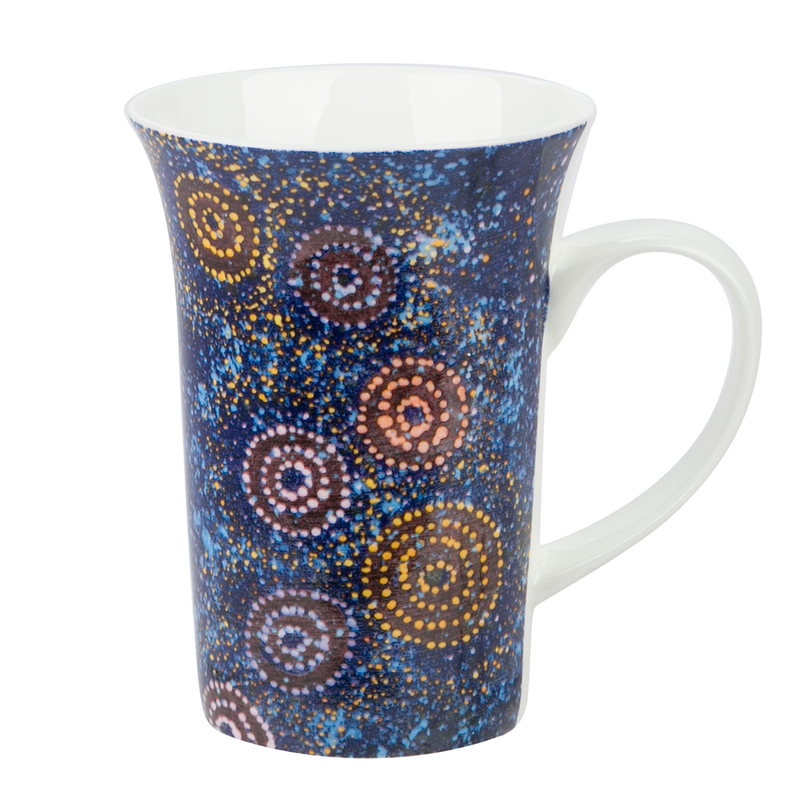 Alperstein’s Aboriginal Art collection is a bright collection of accessories featuring the artworks of some of Australia’s finest Indigenous artists. With their bold colours and soulful designs, these pieces do true justice to the works on which they’re based. There’s a sense of wonder about the blue depths of this mug with its tribal markings and its elegant fluted shape. You may find yourself day dreaming about the night sky and nature as you have your morning coffee. What better time for a reminder of all that the ancient history of our land and its people has to offer us. On this Alperstein mug, the beautiful artwork of Alma Granites has done us proud. Royalties from the sale of the mug benefits the artist and their community.